It's time to stuff your face and give thinks for all your blessings. 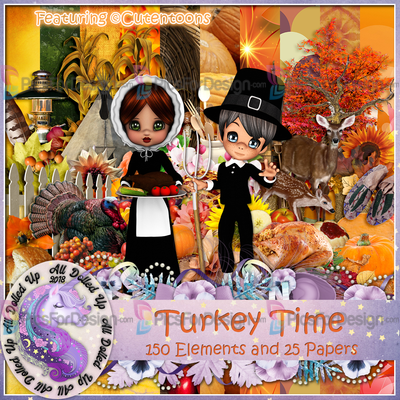 With 150 Elements and 25 Papers this kit will have you celebrating thanksgiving for many years to come. Featuring ©Cutentoons! Not all elements are shown in preview. For personal use only.